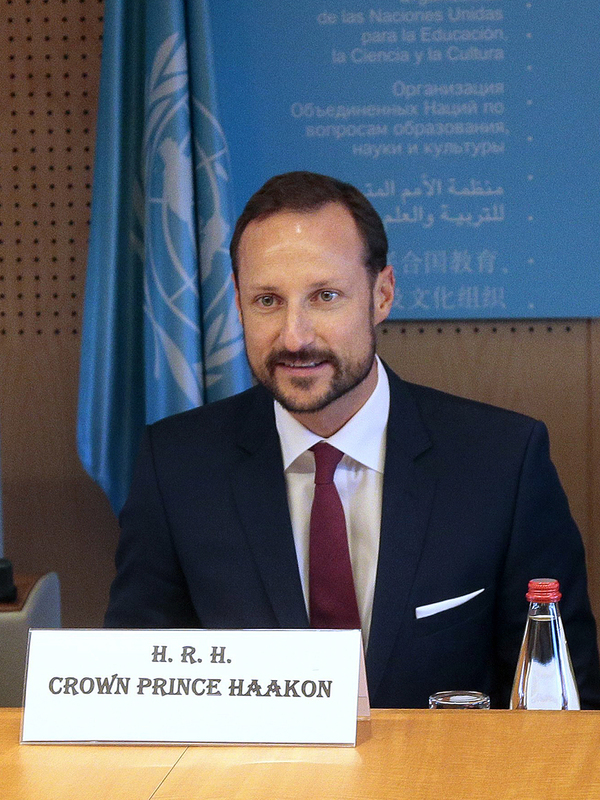 Opening remarks given by His Royal Highness The Crown Prince at a lunch event hosted by UNESCO, Nigeria, Argentina and Norway on Safe Schools, in Paris 3 November 2015. 37 million children around the world lack access to primary and lower secondary school due to crises and armed conflict. They are being denied their right to education. In areas affected by warfare, going to school is often the most dangerous thing a child can do. Schools and universities can provide some badly needed stability and continuity during armed conflicts, but the frequent military use of these institutions make them vulnerable to attacks. In Syria alone, there have been more than 4000 attacks on schools over the past four years. The military use of educational institutions has been documented in 25 conflict zones worldwide. Attacks on education were reported in 70 different countries between 2009 and 2013 – and they are increasing. Girls are particularly affected by the military use of schools. Sexual violence by soldiers or combatants can lead to girls dropping out of school, reduced enrolment and poor educational attainment. Conflict situations are, by their very nature, violent, unsafe, unpredictable and frightening. For the people affected, the future is often unclear and hope is scarce. In such situations, the stability and protection that schools and a learning environment can provide are more important than ever. Ensuring that schools are safe during times of armed conflict is crucial. Without access to quality learning, children are not only deprived of an education today; they are also being robbed of future opportunities. At the Oslo Conference on Safe Schools in May, representatives of states came together to discuss common goal of enhancing the protection of schools and education in situations of conflicts and crisis. By now, I understand, 50 countries have endorsed the Safe Schools Declaration that was tabled at the conference. The Declaration remains open for endorsement, and all states are welcome to join this effort to strengthen the protection of children and education. The Safe Schools Declaration is a political and practical initiative to reduce the impact of conflict on education. The Declaration, with its Guidelines for Protecting Schools and Universities from Military Use, provide practical guidance for the parties to conflicts. It aims to reduce the impact of armed conflict on schools and universities, on individual pupils and students, and on society as a whole. The Safe Schools Declaration is the result of a partnership between states, international organisations and civil society. This partnership remains essential for the collective effort to achieve real change in the lives of young people affected by conflict. Nowhere is the need to strengthen education more urgent than in situations of armed conflict. Norway remains committed to working towards safe schools for all, and we look forward to continued cooperation with UNESCO and many of our partners present here today.